As part of our medical degree at the University of Exeter we are lucky enough to be able to spend time working with the Cornwall Hospice Care team. Both of us are incredibly passionate about palliative care and it has been an absolute pleasure working with the team this year. We are really excited to be part of a project that is looking at early palliative care intervention into cancer care and in particular into the care of people who have a brain tumour. The Royal Cornwall Hospital offers a unique service where they run joint oncology and palliative care clinics for these patients. 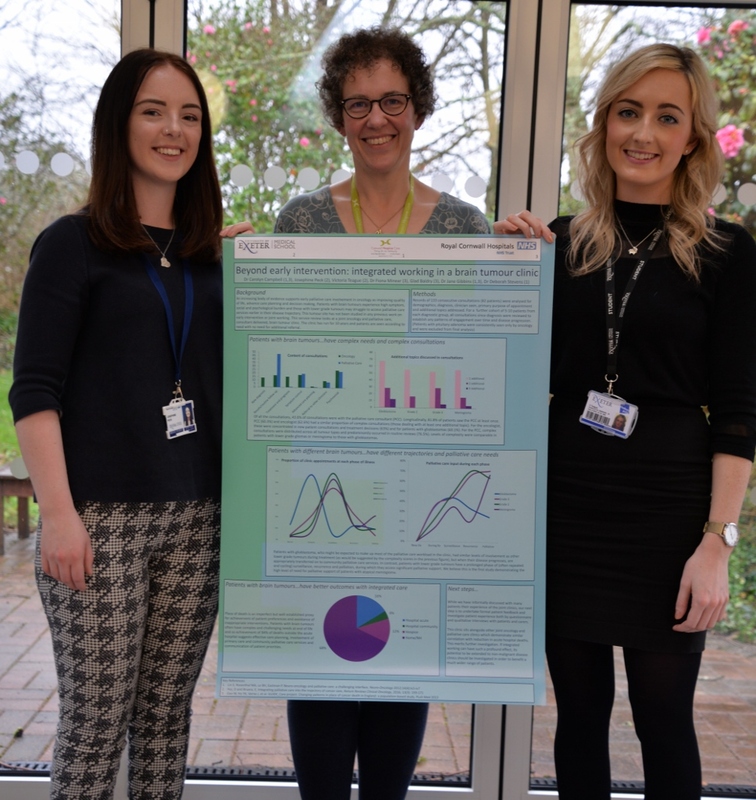 We did a research project looking at the outcomes of these clinics and were lucky enough to be accepted to present a poster of our work at the annual palliative care conference in Bournemouth this year. We based this research on the mounting evidence that palliative care improves quality of life when introduced early to patients with brain tumours. We also wanted to show that palliative care is not just for ‘end of life’. 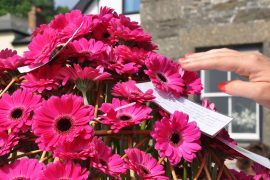 We are incredibly passionate about the services palliative care provide in Cornwall and this has only grown as we have delved deeper into our research and became more involved with the team here. On our journey to Bournemouth, we pointed out how big a presence palliative care has in Cornwall. We talked about how brilliant the hospices here are and the incredible awareness the communities have of such an important aspect of healthcare. The conference was an amazing experience for us and we certainly learned a lot about the importance of palliative care. The results from the research are really exciting and we were so pleased to be able to share these with other palliative care specialists around the country. Both of us have been incredibly lucky to work with Dr Carolyn Campbell and the teams both in Treliske and Cornwall Hospice Care. We can only hope as we move on with our studies, that the research continues and the amazing work of the team here in Cornwall continues to be recognised. Thank you for having us! Inspired by this blog? Help us to continue training the healthcare staff of the future.